After many years of struggling and trying to prosper through the madness, the Reed's have finally reached their breaking point. Clearly, moving to Atlanta was too much to handle for the Reed's because there was so much unfinished business needing to be tended to in California. So, after the death of King, the family packs their things and make the move back to where it all started: California. With everything on the line, Theodore has done a lot of dirt in the past and left many people and situations without any type of closure but what happens when those demons resurface with an unfinished mistake that will haunt him for the rest of his life? Heiress never had it easy growing up, especially after her mother died. She grew up around her father and his harem of women. Many women were in and out of her life as she grew up but one woman in particular has remained for awhile now and has been in Heiress' life raising hell since the day she married her father. Once she gets old enough, she goes to college far away from home and all of its troubles. She can finally be free and explore what life has to offer for her, until her Dad slaps her with a time limit on how long she's able to stay in his house and how long it'll be until he stops paying her tuition. One year is all Heiress has until her entire life changes and she's left to fend for herself, but with family and friends weighing heavy on her shoulders, trying to gather enough money for the future is the last thing on her mind when she's more concerned about the present and all the troubles she faces. But will she be able to survive the streets of Oakland on her own or will she get the help she needs from an unsuspecting enemy? Between juggling the struggles of being a teen parent, going to a new school in a new neighborhood, being ridiculed and bullied by his own mother, finding interest in a new girl that's more dangerous for him than he might think and being severely stabbed by his own family member, will Theodore ever be able to break free of this downward spiral his life is tangled in? After being pushed out of a window on the fourth story of hotel, Lindsey hit the concrete pretty hard. She has no clue as to what happened to her, how she got to the hospital, how she fell out of the window or anything up until the moment she was told what happened to her. Without being able to remember an ounce of the past, how will she continue to live her life the way she did in the past or get the courage to tell her child, that her parents are raising as their own, that she's his mother? And while all of this is happening in Lindsey and Theodore's life, a problem from their past is still brewing a master plan to exterminate the entire west coast of the McDonald-Reed family. Soon, this problem from their past will arrive with an army of their enemies in full force, ready to take out their entire family. Over the years, this family has been through ups and downs, high points, low points, lies, cheating, deceit, addictions, assaults, back stabbing but never anything of this caliber. They crossed a lot of people in their past, but did they cross just one too many people? 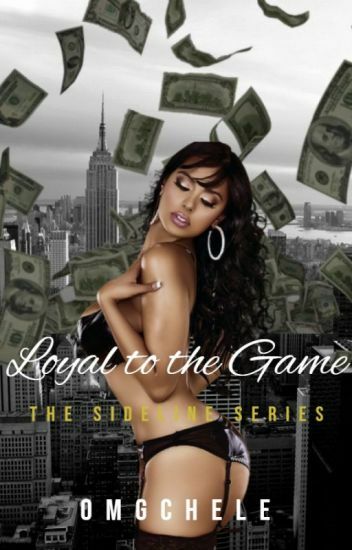 Follow the 8th installment to The Sideline Series, filled with love, hurt, pain, scandal and deception and see where the McDonald-Reed family ends up once it's all said and done and they're all left to stand up against their enemies alone. After inheriting every last dime from his wealthy Grandfather, Theodore Reed has a lot to handle at such a young age. He's picked up and moved his family out to Atlanta so he can start his career as the Prince of the South and raise his daughter in a better environment. From girls, to cars, clothes and a steady income from his clubs and the family business, what could possibly go wrong in Atlanta? When those closest to him devise a plan to take down Theodore and the lucrative family business, will Theodore be able to handle his new responsibilities or will he crack under pressure? Find out more in the Sideline Series' last and final escapade, filled with love, lies, deceit and unfortunate ends for some. Will everyone be able to make it out alive or is this the end of the line for everyone else less fortunate? Kill? They said nothin' 'bout killing people. All I was told was that we was robbing the old Chinese man that owned this liquor store on the end of Grove Avenue, we make a run for it when Easy and Tony got the money, then we'd meet back up at Easy's crib to split the money. I ain't sign up to kill nobody, 'cause I ain't no killer. Josiah's a young man on the quickest path to self-destruction, and he doesn't even realize it. He's pushed away his family, he's pushed away his girlfriend, and has gotten himself involved with some of the worse yet. After the mugging of a local liquor store owner on Grove Avenue, Josiah's left in the dark on what to do with himself. The uneasiness and apprehension soon begin to take over Josiah, causing it to be the only thing on his mind. Will he be able to live with what he did, or will he be the next one starring down the barrel of a gun? MUST READ KEEPING SECRETS & THE REVELATION FIRST!! Nothing lasts forever, while somethings never change. However, one thing is for sure; there is still some unfinished business after all these years... and not ever secret is out. All rights reserved. No part of this book may be reproduced or transmitted in any forms or by any means. Passion has been through it all. From losing her brother at a young age, to going through a period of depression. She felt worthless and useless for years until she meets hotshot Marcel Maverick, who's on a mission to right his wrongs. Marcel, an ex drug dealer, trying to change his ways and fix his mistakes after doing a six year bid in prison, comes out a changed man on a mission. He soon finds young Passion, who's broken, vulnerable and willing to risk it all for a chance at finding the love her brother once gave to her, but this new found love comes with a dark, twisted secret. Passion's loving husband Marcel, who she thought could do no wrong, was someone she couldn't even recognize. He lied to her. He tricked her. He deceived her. And now it's time for her to concoct a plan to get back at Marcel for all the pain he's caused her and correct every single one of his mistakes, even if that means killing her husband in the process. Follow Kayden,Bibby and Herb's Children as they go through life juggling everyday struggles while trying to stay sane LITERALLY! THIS IS PART 2 OF TIL DEATH DO US PART! THEY ARE CONNECTED SO PLEASE READ BOTH! Four years into the future, about to graduate college, Aliyah and Marcus have both created new lives for themselves. Both being on the road to official adulthood, they both have came along way despite them not being in each other lives. Now after all this time, the one thing that brings them together again, is the same thing that changes their lives rapidly.They're both faced with their new realities, learning how to deal, telling lies and making mistakes along the way. Interception- The act of a defensive player catching a forward pass made by a opponent..
Intercept- To obstruct someone or something from continuing to a destination before it or they arrive. What do these two have in common? Time will only tell. Living the life of luxury was all King Grant seemed to know. Growing up under his King Pin Grandfather, Quentin, the streets and a life of riches were how he lived his best life. He seemed to have it all, or so he thought. Life as he knew it was a lie. He was lied to about who he was and where he came from, from everyone around him. He didn't know the truth about his life until the tragic loss of a prominent member of his family. Now, with the streets depending on him to step up and regain control of the throne Quentin rightfully sat in, will he be able to face the demons his family kept hidden in one of the most popular brothels in the area or will he succumb to the same fate as his real mother, Heiress? Being the girlfriend of one of the most popular dope boys was the highlight of Nicole's short 22 years of her life. Now dead, she tells the story of how she fell in love with Zo and how the sacrifices that he made for the streets altered their lives forever.